A West Michigan-based research effort hopes to raise a minimum of $50,000 to fund what could be the next step in finding a cure for multiple sclerosis. Agent Z Project is a grassroots medical research initiative launched by a multidisciplinary team to cure autoimmune diseases such as multiple sclerosis by identifying environmental triggers. It is doing so by using an alternative approach to standard drug discovery. Co-founded by Dr. Michael Warmoth, a pediatrician who has a biochemistry degree and a passion for finding a solution for multiple sclerosis, the Agent Z Project aims to identify which environmental agents cause people to develop M.S. by leveraging a different model to implement and fund systematic experiments. The prevalence of multiple sclerosis in the United States is estimated at roughly 400,000 individuals, based on Census 2000 data and an effort conducted by the National Multiple Sclerosis Society in 2002. It is estimated that the disease impacts approximately 2.5 million throughout the world. Currently, Agent Z Project is based solely online and is leveraging the AngelList platform to secure between $50,000 and $100,000 in funding from angel investors to conduct a mouse model experiment: vaccinating mice against an environmental organism the team believes it has identified as a trigger for M.S. The organism is a bacteria the team refers to as Agent Z and is in a related bacterial family to tuberculosis, according to Warmoth. “The beauty of the Internet is you can do all of the medical research you want and you don’t need a big institution,” said Warmoth. After corresponding with a number of microbiologists at University of Wisconsin and Colorado State University, Warmoth decided to put together an experiment that would leverage collaborative partnerships with private laboratories to prove a vaccination against the bacteria would cause mice to be immune or prevent them from having recurrent M.S. episodes. “Essentially, what we are saying is, if you are prone to M.S. and you get this bacteria, you will develop either M.S., or if you already have M.S. and are exposed to this in the environment, you are going to have a flare,” said Warmoth. Using a vaccine supplied by Yung Fu Chang at Cornell University, the experiment will test the efficacy of immunizing mice that normally develop M.S., both mice that already have experienced one episode of paralysis and mice that haven’t develop M.S. prior to the vaccine. Agent Z Project is collaborating with Proteos Inc., a contract research organization located in Kalamazoo, and Washington Biotech, based in Washington, D.C., to help with the next step of the project. The team behind Agent Z Project launched the work late last year and began looking at various funding possibilities since the grassroots research doesn’t fall within the typical framework. 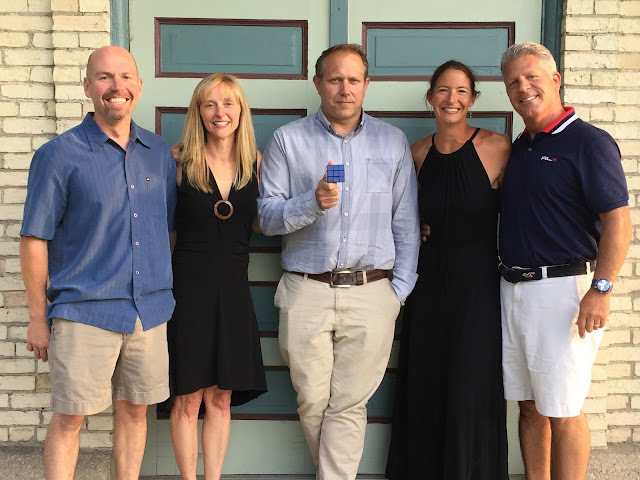 Team members include Chris Ostrowski, president and owner of Beyond the Ask; Crystal Brown, a physical therapist and owner of Happy Life Publishing; Dr. Eric Brown, an emergency room physician; Christy VanderHeide, a registered nurse; and Warmoth. With no overhead due to its presence being solely online, 100 percent of the funds raised through AngelList will be allocated for laboratory resources, according to the website. The team hopes to raise $50,000-$100,000 by the end of the year to move forward with the experiment. Existing models to standard drug discovery focus on minimizing ongoing damage, and the cost can run an average of $75,000 per patient annually, according to Warmoth. “The beauty of this plan is it doesn’t really require employees. It is essentially anyone who would want to take on the project or donate to the project,” said Warmoth. “It would be a way to do medical research in a new way where 100 percent of the funds are going to the experiment. Warmoth said the funding would allow for the mice to be vaccinated and patent protection if it was proven an unaffected mouse could be immunized, or if a mouse that has an M.S.-like condition was prevented from further episodes. With its focus on evaluating the identified bacteria, Warmoth said the test looks at environmental triggers in a systematic fashion and could have a significant impact on treating other autoimmune diseases, including Type I diabetes, junior rheumatoid arthritis and inflammatory bowel disease. “Appropriately funded, our goal would be to cross-match certain autoimmune diseases that have mouse models and vaccinate them against certain bacteria that have vaccines. We can run the experiment over and over and, any time we see a correlation, that would save hundreds of thousands of lives,” said Warmoth.